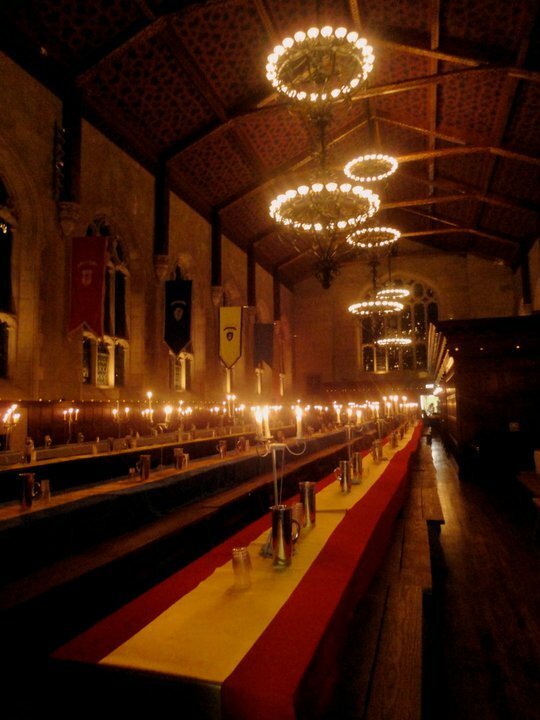 The interior shots of the Hume Castle – which is also known as the Hume Cloister – remind me of Bryn Mawr College. 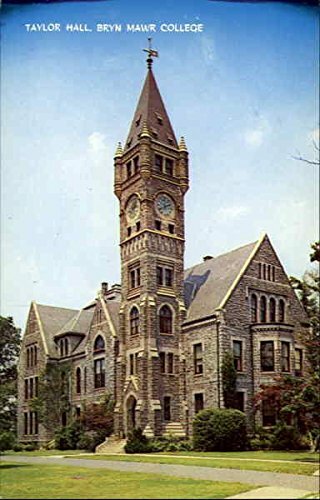 My mother grew up in Bryn Mawr. 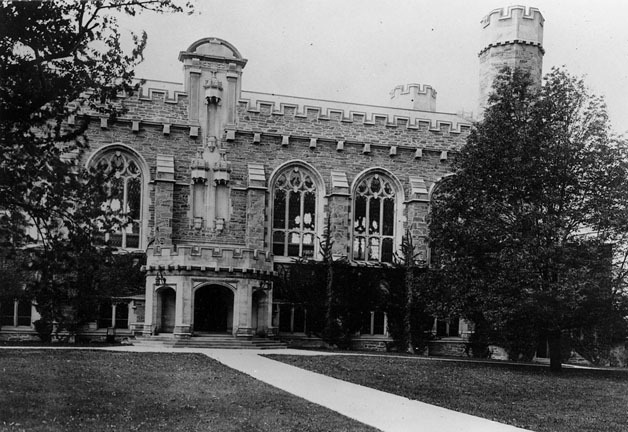 Her father taught at Bryn Mawr from 1914 until 1920. 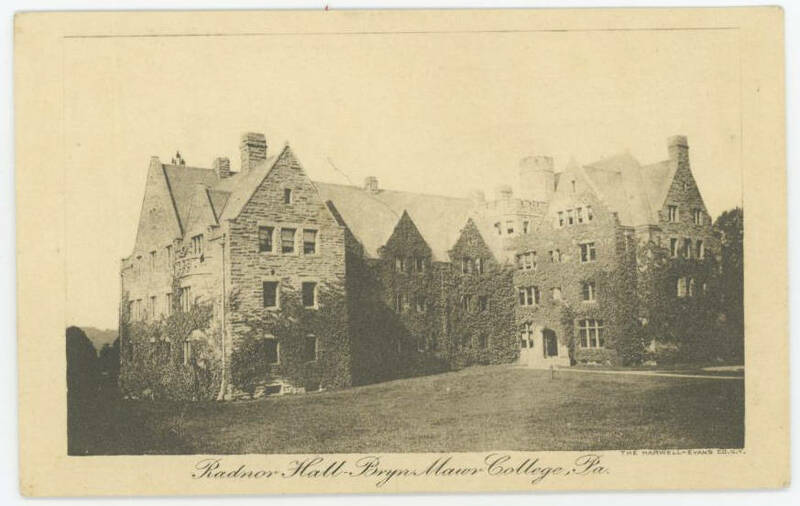 My mother went to Bryn Mawr. We lived in Bryn Mawr starting in 1959, third grade for me. These are the ways that Bryn Mawr College was in my life. On the first of May, my sister and I would pick flowers and make bouquets. We took one to Mrs. Schick next door and one to our grandmother, Dami. She lived on Radnor Street in Bryn Mawr. 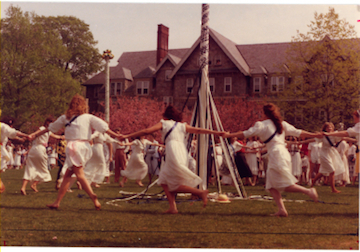 We then went to Bryn Mawr College and watched the girls dance around the Maypole. 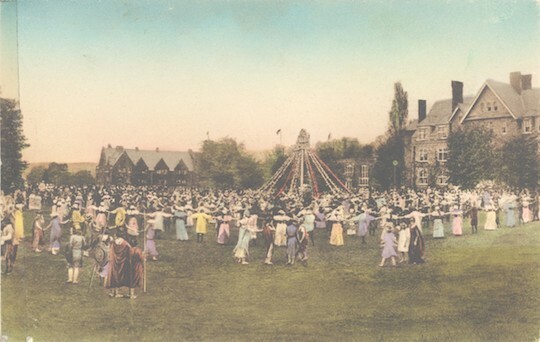 My mother remembered the May Day celebration when she was at Bryn Mawr in the 1930s. 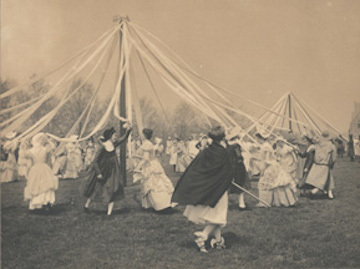 The student body marched behind an ox-drawn wagon bearing the May Day Queen. That must have been quite a sight! 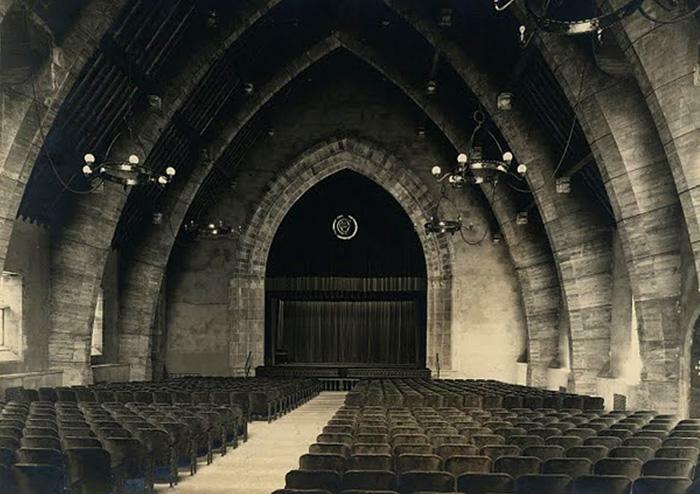 Later in the spring we would sit on the lawn at Bryn Mawr and watch Shakespeare performed outdoors. We would walk through campus to sit on the slope of the hill shown in this photo. It was magical and medieval. And spring. And a special evening not home doing homework. My mother would take us into Goodhart Hall. Holy Mackerel. And then watch Shakespeare in the spring dusk in the midst of hundreds of college girls. It was magic for my ten-year-old mind. 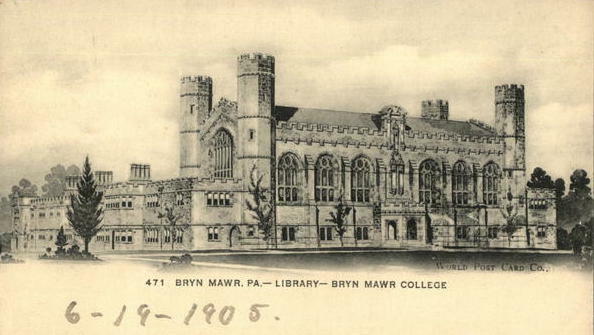 And then there was the library at Bryn Mawr. What a place. My mother took me there for superior research materials for several papers that I had to write. In 8th grade I wrote a paper about Roman war machinery. Great old books. 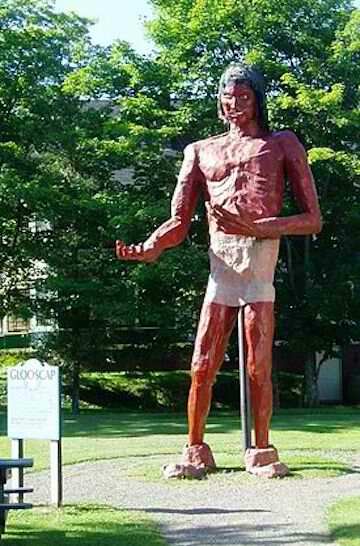 In 9th grade I wrote a paper about Glooskap, the chief god of the Abenaki Indian tribe. We had read Arundel by Kenneth Roberts and Glooskap was mentioned. 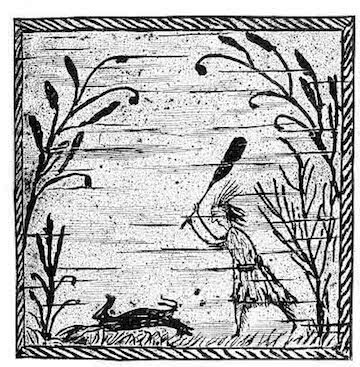 Boy I knew a lot about Glooskap! 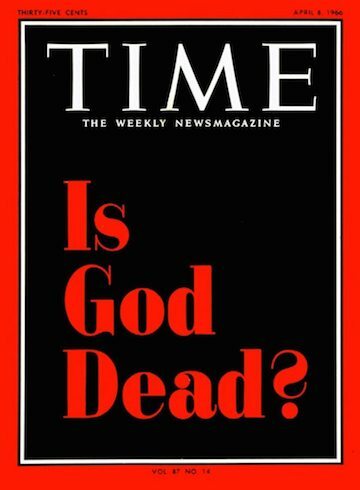 In 10th grade I wrote a paper about the current debate on whether God was dead. I had access to more theology than I could ever need at Bryn Mawr College. On all those visits, I remember the mystery of college girls, the smell of stone and metal and old books in the stacks, the crooked stairs, the dim light, the spines of the books. The smells were powerful, all good. In the summer after 7th grade, my best friend Van Kalbach and I played tennis all summer on the courts at Bryn Mawr College. We rode our bikes there, played all morning, and then biked through campus to Parvin’s Pharmacy in Bryn Mawr where we sat in a booth and had several lemon Cokes. Back to Bryn Mawr College in hot and humid afternoon for more tennis. 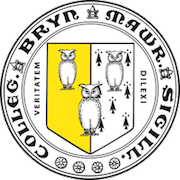 Nearing the end of my association with Bryn Mawr College – in 1972 I left home and moved to California to work for the United Farm Workers. My parents moved that year into my grandmother Dami’s house on Radnor Street. That house is the most powerful symbol of home for me – ever – still, now, always. In 1975 they moved to Yuba City. I flew back to pack up my stuff and drive their car to California. At the time, I had my first great collection of books. 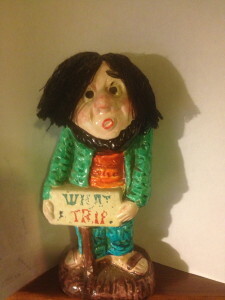 I had many mysteries, many Tarzan books, and shelves full of 19th century American fiction. 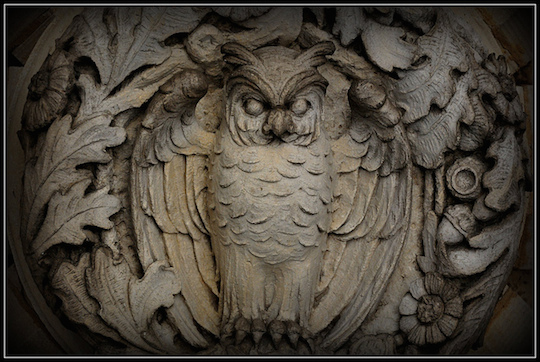 I took almost all of it to the Owl used bookshop at Bryn Mawr College. I donated it. Easy come, easy go. 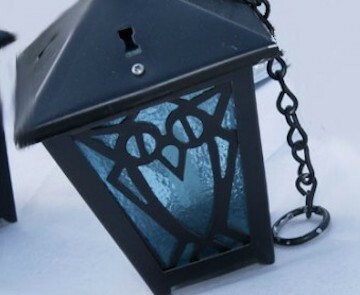 I still have my mother’s Bryn Mawr College lantern. It hangs at our house on Vashon Island. I showed my friend the photos. 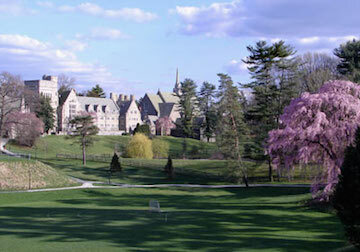 He never went to Bryn Mawr with me, but a friend of his had sent him a photo. Yes sir, pretty medieval. 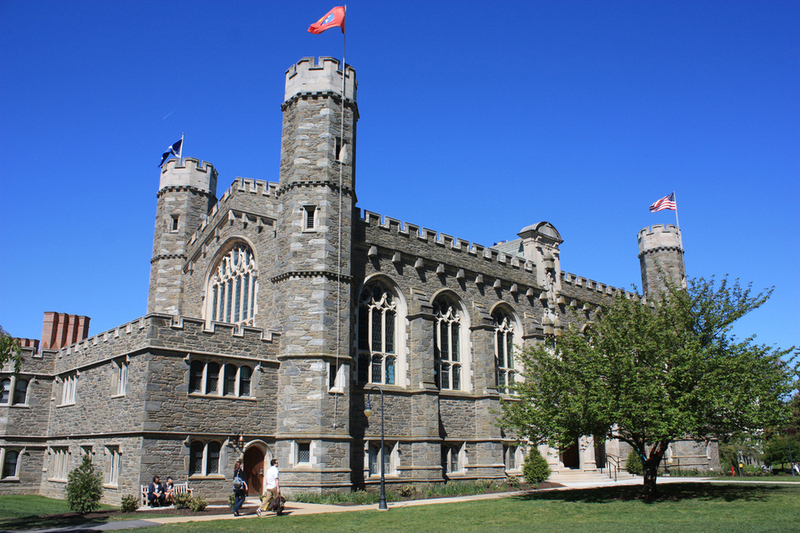 What about the other photos, my stroll down memory lane at Bryn Mawr College?